PRICE REDUCED BRING ALL OFFERS!This consists of a single boat rack in a rack storage building accommodating up to a 27.5 foot boat with up to an 11 foot beam. Your vessel may be up to 11.6 feet in height excluding prop or outdrive. Overall box dimensions of the rack are 28' long, 12' wide & 14.6' high. (Note: My unit has the advantage of being higher than many other 28' long rackominiums at this facility. Accordingly a higher vessel may be accommodated than is possible with these other units.) Will Fit T-Tops with the top up! 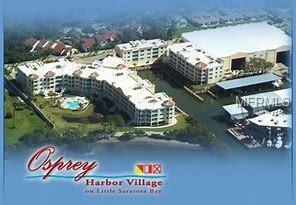 The facility is located at the Osprey Harbor Village complex on the intra-coastal waterway on Little Sarasota Bay in Osprey, FL. 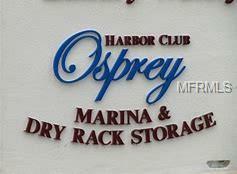 Convenient access to the Gulf is through Big Sarasota Pass to the north or the Venice Jetties to the south This new storage building has been constructed to current stringent fire and hurricane codes. 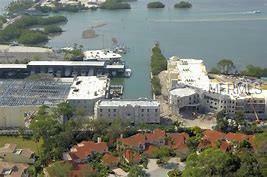 The facility has state-of-the art boat lifting equipment to insure safe and efficient handling of your vessel. 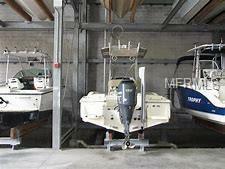 Your boat remains covered and protected until you are ready to use it. You then call ahead and your boat will be fueled and in the water ready to cruise usually by the time you arrive. Upon your return, washdown and engine flush are provided and your vessel is then safely returned to its rack. This clean inside storage environment should significantly enhance the life of your boat and keep maintenance chores to a minimum. A rackominium clearly can make owning and enjoying your boat much simpler and hassle-free. Pump out service is available.